Though Geoff Johns is no longer overseeing the direction of the DCEU, his early comments about making the DC movies more lighthearted in tone might pay off. Though, I never held to “lighthearted” being the answer, but more chose a tone or direction that’s appropriate for the character/property. But in this case, lighthearted seems to work. 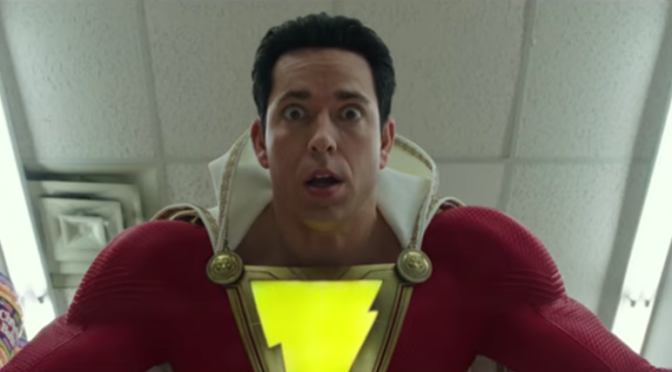 A lot people have been calling SHAZAM! a BIG with superheroes. And I can definitely see that comparison. Personally, looking forward to enjoying a more than one DC movie (yes, I’m talking about WONDER WOMAN). SHAZAM! opens on April 5, 2019.